Every young basketball fan dreams of owning the jersey of their favorite player or favorite team. But in the mid-2000s, jersey shopping was obviously much harder in the Philippines, and not many parents were willing to invest upwards of three thousand pesos for an original NBA jersey for their not-very-good-at-basketball eleven year-old. Although, when we entered the teen years of the twentieth century, jersey shopping became a lot easier in the country. Since every single human person I had any relationship with knew the Washington Wizards were the most important singular entity in my life, Wiz merch was a common gift for me during special occasions. My three year haul in the early to mid part of this decade was: A couple of John Wall jerseys (One Red Away jersey, One 2015 Christmas Jersey), and around five to eight shirts (most of which I’ve already outgrown). And once I had me some Wizards gear, I definitely overwore it. I was the guy who wore Wizards shirts around campus at least once a week. I was the guy who everyone called “John Wall” in pick up games even if I had negative speed simply because no one else actually wore John Wall jerseys. I literally tied one of my jerseys on my school backpack for the entire Washington Wizards 2016-2017 playoff run. I was that guy. But the Wizards jersey scene changed completely in March of that season, when the Washington Wizards unveiled their ‘Stars and Stripes’ jersey, which the team wore for six regular season home games to honor the number of branches of the US Armed Forces. It kept the same Wizards’ red, white and blue color scheme that was perfect for the professional basketball team of the Nation’s Capital. The white base color also allowed for both the stars and stripes to pop out from the side of the jersey. Its unique design and ties to the DC area made for the ideal city edition jersey a year before the actual city edition jerseys were released by Nike. I first caught wind of the new Stars and Stripes Wizards threads on Twitter in March of 2017, and I immediately knew that it was the best Wizards uniform released in my lifetime. 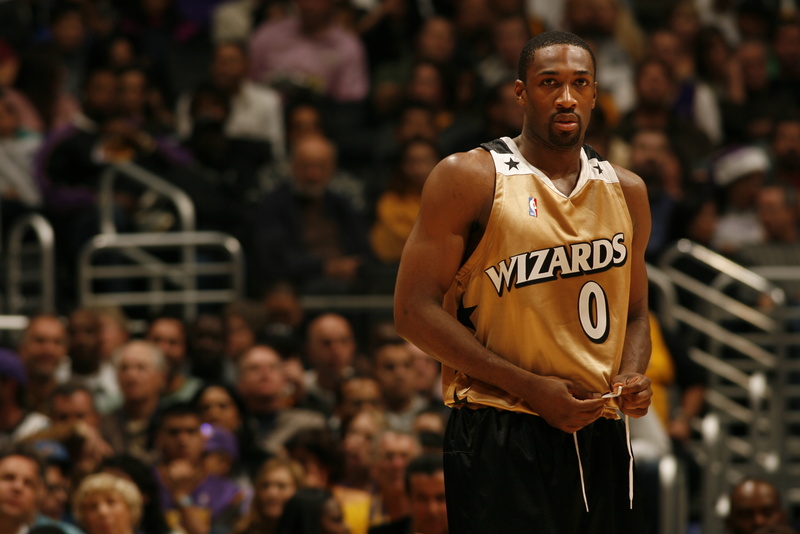 Only the polarizing golden Wizards jersey of the Arenas-Jamison-Butler era (which literally every NBA fan since the mid-2000s remembers) was sort of a worthy competitor. The Stars and Stripes was beautiful. So beautiful that everyone from players, fans and even national media were enamored. Eventually, Monumental Sports － the company that owns the team － announced that the 49-win, 4th-seeded Wizards would sport the alternate jersey to every home game of their upcoming playoff run. “It was a no-brainer, quite frankly. Players, fans and management, you name it: People loved the uniforms,” said Hunter Lockmann, a Senior Vice President at Monumental Sports said to The Washington Post. It was only fitting that the Wizards brought these magnificent threads with them to what was possibly going to be the team’s deepest playoff run since the moniker change, and first of the Wall-Beal-Porter era. This was the team’s best regular season record since the 1978-1979 season, a runner-up season for the then Washington Bullets. The team declared the conference finals as a goal, and that was a feat no DC area professional sports team had done in the 18 years prior. This was the chance for a good-looking Wizards jersey to actually come with some good memories. 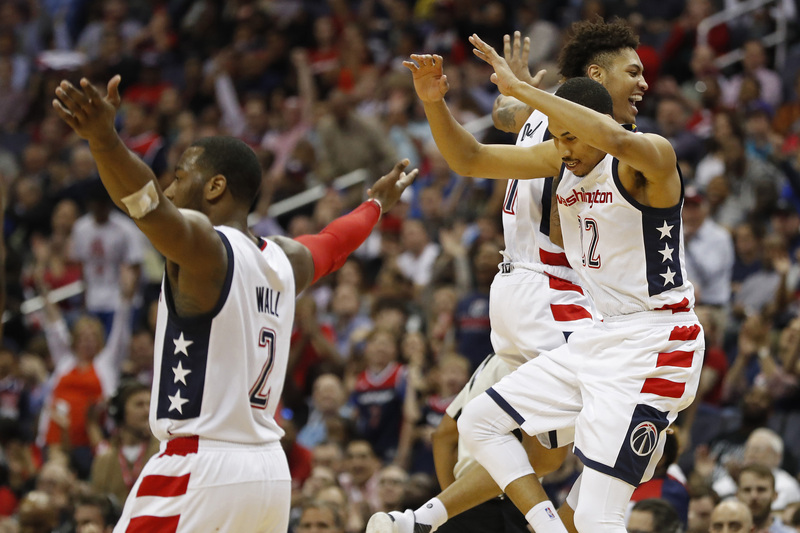 After getting the job done against the Atlanta Hawks in a 6-game Round One series, the Wizards faced-off against their rivals － the top-seeded, Isaiah Thomas-led Boston Celtics. The home team took each of the first five games, setting up a Game 6 elimination game in Washington. 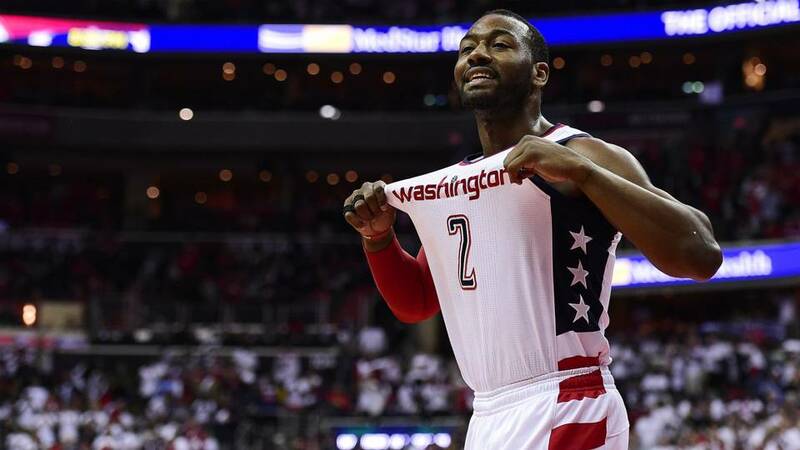 The Wizards again came out in their Stars and Stripes, still undefeated in the playoffs when they rocked their new favorite jersey. But with under 10 seconds remaining, Al Horford － the Center who chose to sign with Boston instead of Washington in the offseason prior － hit a go-ahead jumper from 15-feet to put Boston ahead by 2. At that moment, I was on my bed, by myself, legitimately ready to cry. There was no more #SoWizards moment than losing to an Al Horford game-winner at The Phone Booth. But my Wizards had one more chance, so they went to their point guard. John Wall, the team’s Number 1 Overall Pick in 2010 and franchise cornerstone, had one shot to keep the Wizards alive. Any avid Wizards fan would tell you that they often run the same horrible play for any final possession: John Wall Isolation into a jumper the clanks off the side of the rim. So when Wall received the inbounds pass, every Wizards fan knew what was coming. Wall dribbled a couple of times and stepped into a 30-footer over Avery Bradley. “Here comes another Wizards letdown. We’re used to it, anyway,” I thought. 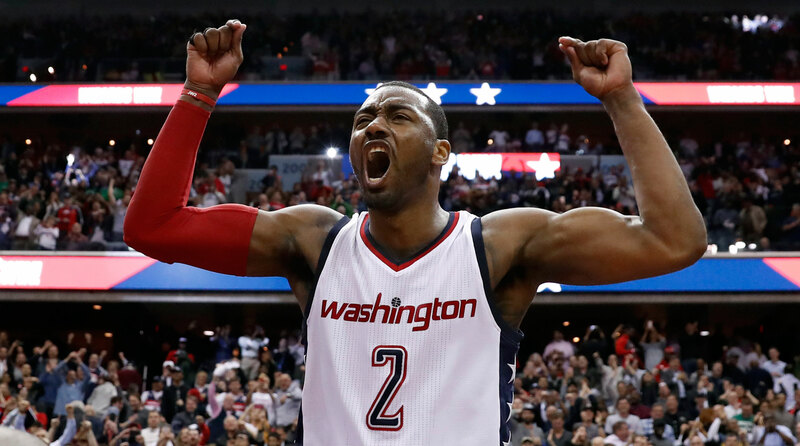 But then something very un-Wizards happened: Wall hit the three. The score read, 92-91, Wizards. This was every Wizards fans’ The Shot. Our star player, the rare loyal star who embraced the city and brought excitement to a laughing stock of a franchise, saved us. For myself and the approximately seven other Wizards fans around the Philippines, this was our #AtinTo moment. In hindsight, that shot meant little to the actual long term success of the Wizards. We lost the series to Kelly Olynyk (#SoWizards), we still haven’t made a Conference Finals, and our team is probably the biggest dumpster fire of the current 2018-2019 season so far. But regardless of the aftermath, for all the suffering preceded it, that shot and that moment given by that exact player wearing the beautiful jersey was The Moment of modern Wizards fandom. Given its personal significance and the ease of purchasing overseas nowadays, most would think that I should have found a way to cop the Stars and Stripes jersey by now. The problem is, Monumental never expected the demand for the Stars and Stripes jersey to be as large as it was. They were sold out everywhere even before the playoffs began. Because of the NBA’s jersey supplier change for the following year, the jersey designs for the next season were already mapped out months prior to the initial Stars and Stripes launch. Monumental did say in early 2017 that they did not rule of the possibility for the design to make a return, and they said it would come at the earliest by the now ongoing 2018-2019 season. However, no announcement has been made yet regarding the possibility of the relaunch of the Stars and Stripes, and the team continues to put out annual city edition jerseys that have been above average at best. Until then, we Wizards fans can only hold on to the three-month golden era that coincided with the release of those beloved Stars and Stripes threads. I guess the window for greatness for the Wizards will always be short, even when it comes to their jerseys.